There is a special urgent situation that I want to report on but ﬁrst let me share a praise item. Praise the Lord that support for the trip has greatly increased to over $7,000! This leaves about $5,000+ for the Lord to bring in. Do join us in giving thanks. I have visited Orissa at least three times. My heart is a bit sensitive to the needs there in Orissa (see short movie below). Earlier this year, persecution broke out twice. Just this week it has become severe and continues until now. It appears that the communists (Maoist in India) killed several Hindu priests, and the radical Hindus are using this to blame Christians for the murders and instigating hatred against Christians in the State of Orissa. See the fervor of the Orissa pastors from 2006. Update on Orissa persecution news. Note: Please be at ease about our north and south India trips. Although the southern India trip to Andhra Pradesh is near the southern border of Orissa, there should not be any difficulty related to this persecution of the believers. Do pray, though, for safety as always! 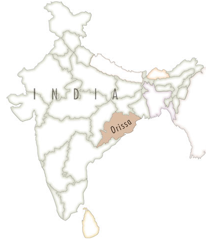 In response to this outbreak of persecution in Orissa, a large Christian organization in India is calling all the Christian schools around the country to close on Friday to get the rest of the country's attention. "We call for all church and Christian educational institutions of Catholic, Protestant, Independent, and unaffiliated Christian denominations in the service of society to close for one day," said Sam Paul, AICC National Secretary of Public Affairs. The AICC is supporting the call from church networks -- including the Catholic Bishops' Conference of India, the Evangelical Fellowship of India, and the National Council of Churches in India -- to close Christian schools on Friday, Aug. 29, 2008." There are many good Christian schools throughout India as well as in public service. Pray that God would hold back the persecution. Join me in prayer that God would use these incidents to multiply the Christians in Orissa threefold.